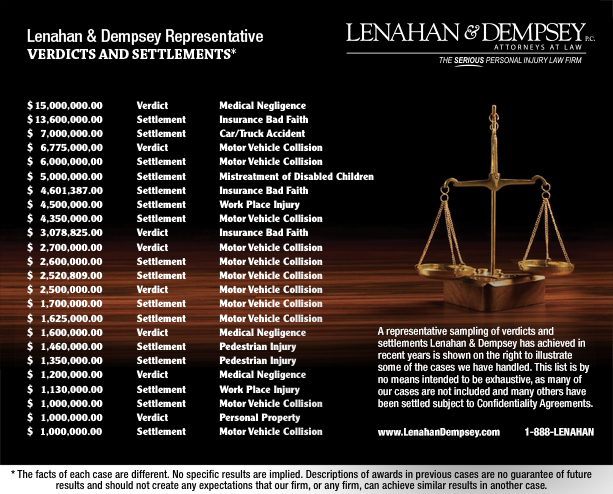 A representative sampling of settlements and verdicts Lenahan & Dempsey has achieved in recent years is shown on the right to illustrate some of the cases we have handled. This list is by no means intended to be exhaustive, as many of our cases are not included and many others have been settled subject to Confidentiality Agreements. PDF Version.